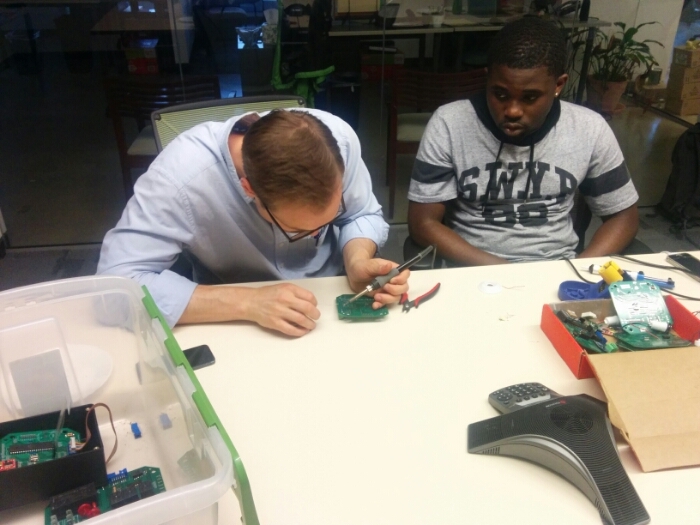 Franck is overseeing as Aaron learns to solder one of our proto boards. What Aaron doesn’t yet know is that he now has to solder ALL the boards! Just kidding. Good job Aaron! We’re testing his work tomorrow. Ha! Franck does not look impressed.